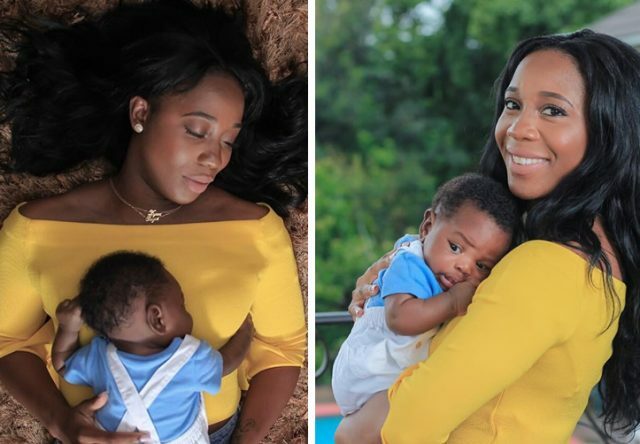 Shelly-Ann Fraser-Pryce shares photos of her Zyon for the first time since he was born. “Today my son has been christened and received his blessings,” Fraser-Pryce announced to fans following an apparent photoshoot with Zyon. Fraser-Pryce and husband Jason Pryce have welcomed their first child, Zyon D. Pryce, on August 7, 2017. “Protected❤️ #Zyon,” Shelly-Ann Fraser-Pryce captioned this photo.